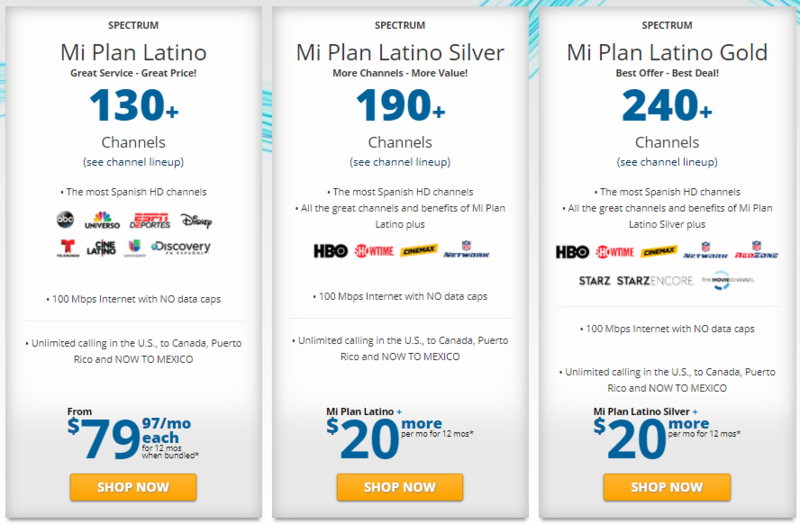 Mi Plan Lationo helps to watch your favorite channels and shows in Spanish and English. It shows around 130+ channels with over 75 of them in Spanish. Plus, get more HD, blazing-fast Internet speeds, and unlimited calling. 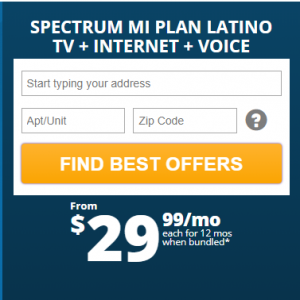 SPECTRUM MI PLAN LATINO TV + INTERNET + VOICE starts with $29.99 (it was $39.99). Great Service – Great Price! Stuck in a contract? We’ll pay up to $500◊ to help get you out!